Sir John published a book about about the toilet called A New Discourse of a Stale Subject, Called the Metamorphosis of Ajax. Even the “Ajax” part was a joke, since lavatories were “jakes” in Elizabethan slang. The book was also political satire, attacking the “excrement” poisoning English society. It pissed off the queen, so she temporarily banished her godson from court. 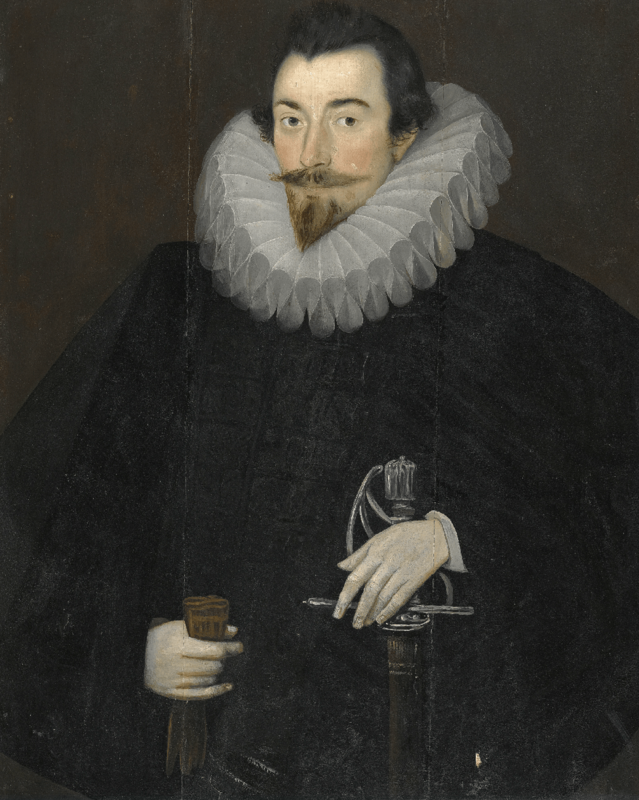 We call toilets “johns” after Sir John Harrington. © 2014 by David W. Tollen. All rights reserved. Good potty humor. Thank you. I’d say I’m proud to be a “John” since we invented the toilet but that doesn’t sound right.